A comprehensive history file and invoices from new. A matching numbers car previously owned and pampered by just 7 owners - and work carried out includes; bare metal respray, new sills, rebuilt engine and cylinder heads, a completely refurbished interior, including a retrim in parchment hide with green piping, new mohair head lining and Wilton carpets. Moto-Lita wood rim steering wheel and wood door capping's/ dash embellishments. Invoices for work carried out reads like a who's who of Aston marque specialists. 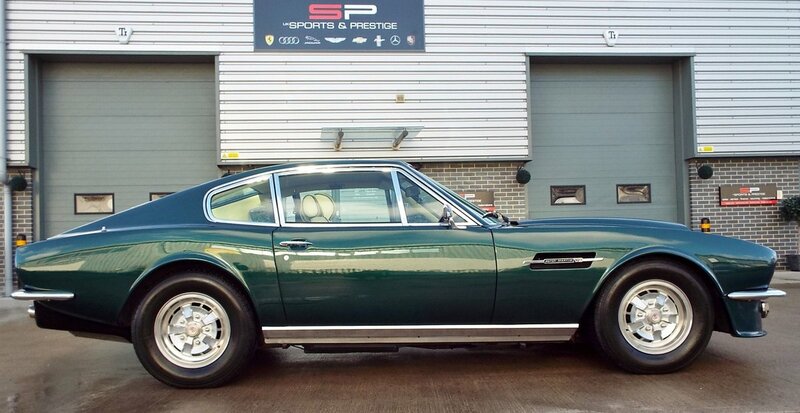 Recently re-commissioned and returned to the road after being stored for a number of years, recent expenditure in excess of £25,000.00 at a leading independent and multiple concourse winning Aston marque specialist, work includes; nut and bolt front suspension overall, re-conditioned steering rack, new alloy radiator, re-conditioned water pump, new belts, carbs taken down to bases, new gaskets and serviced/ set up. Gearbox split and examined and new reassembled, new clutch. New alloy fuel tank/ overall of fuel system, retrimmed boot. Most recent work includes, new seat belts, door locks, and anti corrosion work to interior; floor, 'A' pillars, including removal of dash, etc. Recent Avon Turbo steel tyres, refurbished GKN alloy road wheels, uprated Koni dampers, springs and anti roll bar and complemented with a sports exhaust. 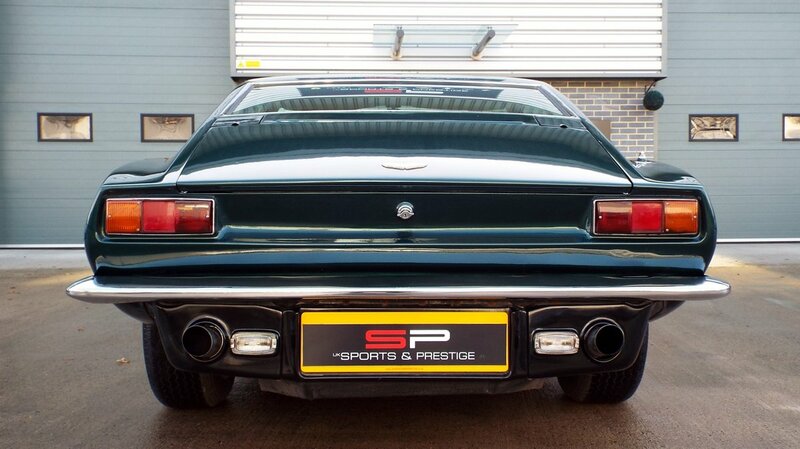 Owning an Aston V8 in your collection is very special and how these cars drive and make you feel is as good as they look. Described as a fine blend of abilities that emerges as distinctly British. 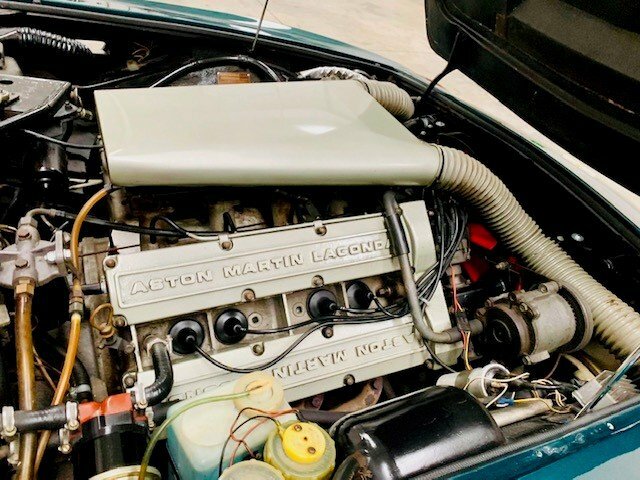 The Tadek Merak designed twin double overhead cam 5.3 V8 is at the heart of the beast and was developed to power the successor to the Aston Martin DB6, the DBS. The original DBS was shown to the press in September 1967, but without its intended V8 engine. This was two years late in arriving and the original DBS's soldiered on with the six cylinder engines until the tougher post 1967 Le Mans evolved V8 first emerged into the production Cars. 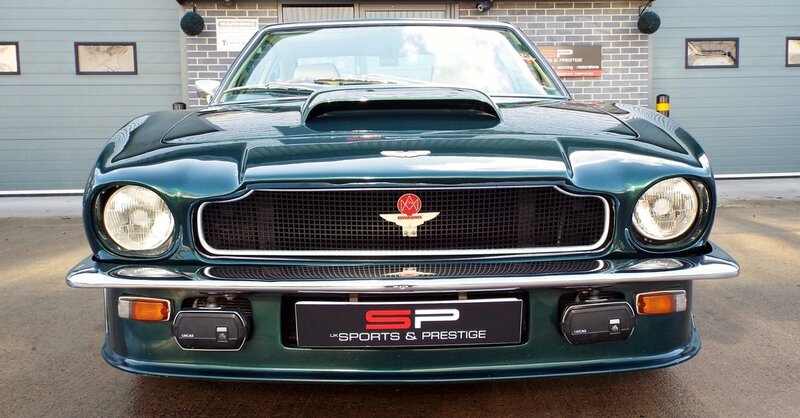 Christened the DBS-V8 this begot the Series II V8 (note the dropping of DB - now the era post the departure of Sir David Brown in February 1972), and to the Series III of August 1973. 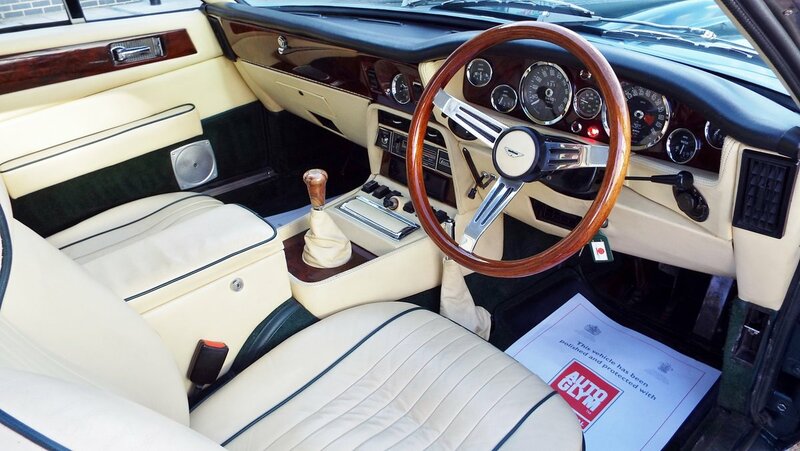 A rare opportunity to acquire such an astonishingly well preserved and maintained car with the superior ZF five-speed manual gearbox - with a total production run of only 967 - 74 percent of which were delivered with the three speed Chrysler Torqueflite gearbox. You know you’re buying something very special. 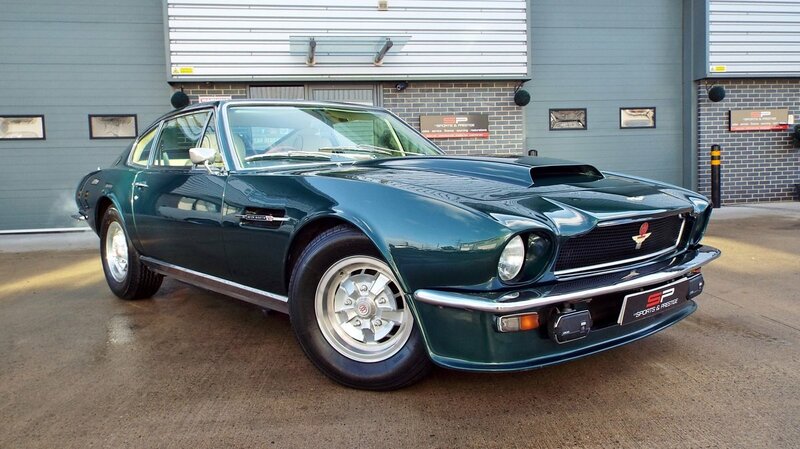 Looking for an Aston Martin V8 Manual? You’ve found it! We expect this rare car not to be around for long, so please contact a member of our sales team who can discuss your needs and any questions further. An excellent investment opportunity indeed. We kindly ask that you arrange an appointment first to view before setting off - making sure this car is still for sale and a deposit has not been taken.